Item # 319119 Stash Points: 5,895 (?) This is the number of points you get in The Zumiez Stash for purchasing this item. Stash points are redeemable for exclusive rewards only available to Zumiez Stash members. To redeem your points check out the rewards catalog on thestash.zumiez.com. Hit your favorite music festival wearing the Kunoichi Black Mask from Vida Kush. 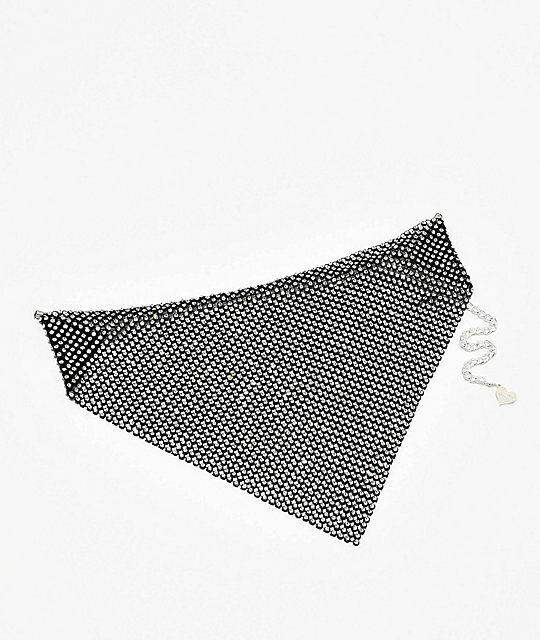 This sparkly accessory can be worn as a facemask or a bandana, and features a black mesh construction with clear rhinestones throughout. An adjustable sizing piece is added for a custom fit, while the overall design is sure to draw attention. Kunoichi Black Mask from Vida Kush. 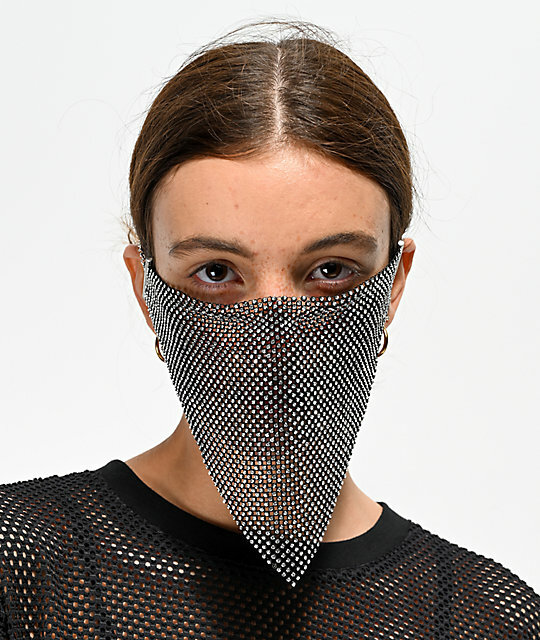 Black mesh dust mask with clear rhinestones throughout.